Sri Sathya Sai Baba born as Sathyanarayana Raju (23 November 1926 – 24 April 2011) was an Indian guru, spiritual figure and educator. In 2011, he was listed by the Watkins Review as one of the 100 most spiritually influential people in the world.He was described by his devotees as an avatar, godman,spiritual teacher and miracle worker.The apparent materialising of vibhuti (holy ash) and other small objects such as rings, necklaces and watches by Baba has been a source of both fame and controversy – skeptics consider these simple conjuring tricks while devotees consider them evidence of divinity. Sathya Sai Baba claimed to be the reincarnation of the spiritual guru, Sai Baba of Shirdi, whose teachings were an eclectic blend of Hindu and Muslim beliefs. Sathya Sai Baba and his organisations support a variety of free educational institutions, hospitals, and other charitable works in India and abroad. The number of active Sathya Sai Baba adherents was estimated in 1999 to be around 6 million, although followers' estimations are far higher Since there are no formal ties of membership, the actual figure may never be known. The Sathya Sai Organisation reports that there are an estimated 1,200 Sathya Sai Baba Centers in 114 countries worldwide. In India itself, Sai Baba draws followers from predominantly upper-middle-class, urban sections of society who have the "most wealth, education and exposure to Western ideas. He was a cultural icon in India and drew an audience with presidents and prime ministers from India and beyond who have become his devotees; in 2002, he claimed to have followers in 178 countries. Almost everything known about his life stems from the hagiography that grew around him, the presentation of narratives that hold special meaning to his devotees and are considered evidence of his divine nature. In 1940, Sathya Sai Baba proclaimed himself to be the reincarnation of Sai Baba (pictured). Sathyanarayana Raju was born to Eswaramma and Peddavenkama Raju Ratnakaram in the village of Puttaparthi, Andhra Pradesh, India. His birth, which his mother Eswaramma asserted was by miraculous conception, was also said to be heralded by miracles. As a child, he was described as "unusually intelligent" and charitable. He was exceptionally talented in drama, music, dance and writing, and was an avid composer of poems and plays.He was said to be capable of materialising objects such as food and sweets out of thin air. On 8 March 1940, while living with his elder brother Seshama Raju in Uravakonda, Sathya was apparently stung by a scorpion.He lost consciousness for several hours.Within the next few days there was a noticeable change in Sathya's behavior. There were "symptoms of laughing and weeping, eloquence and silence." "He began to sing Sanskrit verses, a language of which he had no prior knowledge. "Doctors believed his behavior to be hysteria. His parents brought Sathya home to Puttaparthi.Concerned, they took him to many priests, "doctors" and exorcists. On 23 May 1940, Sathya called household members and reputedly materialised prasad and flowers for his family members. His father became furious at seeing this, thinking his son was bewitched. He took a stick and asked him who he was. To this Sathya announced calmly and firmly "I am Sai Baba", a reference to Sai Baba of Shirdi. He proclaimed himself to be a reincarnation of Sai Baba of Shirdi—a saint who became famous in the late 19th and early 20th centuries in Maharashtra and had died eight years before Sathya was born. In 1944, a mandir (temple) for Sathya Sai Baba's devotees was built near the village. It is now referred to as the old mandir.The construction of Prashanthi Nilayam, the current ashram, began in 1948 and was completed in 1950. In 1957 Sathya Sai Baba went on a North Indian temple tour.In 1954, Sathya Sai Baba established a small free General Hospital in the village of Puttaparthi. In 1963, Sathya Sai Baba suffered a stroke and four severe heart attacks. It is believed by some that he healed himself of these, and on recovering announced that he would be reborn as Prema Sai Baba in the state of Karnataka. He stated, "I am Siva-Sakthi, born in the gothra (lineage) of Bharadwaja, according to a boon won by that sage from Siva and Sakthi. Siva was born in the gothra of that sage as Sai Baba of Shirdi; Siva and Sakthi have incarnated as Myself in his gothra now; Sakthi alone will incarnate as the third Sai (Prema Sai Baba) in the same gothra in Mandya district of Karnataka State." It has been claimed that Sai Baba would be born again eight years after his death at the age of 96. On 29 June 1968, Sathya Sai Baba made his first and only trip overseas, to Uganda. During a discourse in Nairobi, Sathya Sai Baba stated, "I have come to light the lamp of Love in your hearts, to see that it shines day by day with added luster. I have not come on behalf of any exclusive religion. I have not come on a mission of publicity for a sect or creed or cause, nor have I come to collect followers for a doctrine. I have no plan to attract disciples or devotees into my fold or any fold. I have come to tell you of this unitary faith, this spiritual principle, this path of Love, this virtue of Love, this duty of Love, this obligation of Love. "In 1968, he established Dharmakshetra or Sathyam Mandir in Mumbai. In 1973, he established Shivam Mandir in Hyderabad. On 19 January 1981, in Chennai he inaugurated the Sundaram Mandir.In March 1995 he started the water project to provide drinking water to 1.2 million people in the drought-prone Rayalaseema region in Anantapur. In 2001 Sathya Sai Baba established another free Super Speciality hospital in Bangalore to benefit the poor. In April 1999 he inaugurated the Ananda Nilayam Mandir in Madurai, Tamil Nadu. On 6 June 1993, four youths who were devotees and resided in the ashram, broke into Satya Sai Baba's quarters in Puttaparthi armed with knives. Sathya Sai Baba managed to escape and raised an alarm. In the scuffle, two of Satya Sai Baba's attendants, his chauffeur and cook, were killed, and the four assailants shot dead by the police. He was never investigated by the Indian authorities. Sathya Sai Baba said he would be healthy until age ninety-six and then die. After 2005 Sathya Sai Baba used a wheelchair and his failing health forced him to make fewer public appearances. In 2006 he suffered a fractured hip when a student standing on an iron stool slipped and both the boy and stool fell on Sathya Sai Baba. After that, he gave darshan from a car or his porte chair. 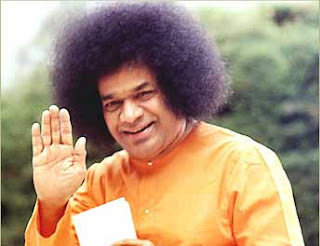 Sathya Sai Baba was admitted to a hospital at Prashantigram at Puttaparthi on 28 March 2011 following respiration-related problems.After nearly a month of hospitalisation, during which his condition progressively deteriorated, he died on 24 April at 7:40 IST. His funeral is scheduled to be held on 27 April.Many of his devotees, some of whom had held vigil outside the hospital for many days, gathered around the hospital causing law and order concerns. More police were expected to be deployed for his funeral. His body is to lie in state for two days. Karnataka declared 25 and 26 April as days of mourning and Andhra Pradesh declared 25, 26 and 27 April as days of mourning. The government of Karnataka is also organising chartered buses to Puttaparthi. Many of his devotees also payed tribute at a temple. Political reactions were swift with many offering their condolences, including Prime Minister Manmohan Singh. Others who reacted to his death included Sachin Tendulkar,who canceled his birthday celebrations,although he did play an IPL cricket match in Hyderabad on the day though he refrained from referring to Baba's death. The Hindu newspaper reported that Sri Sathya Sai Baba's propagation of spiritualism and preaching of Hindu philosophy never came in the way of his commitment to secular beliefs.